"While you can never be sure how much running at the Festival takes out of a horse all the signs at home are positive with Topofthegame. He has only run three times and Matt Hampton, who rides him every day, says he is better now than at any stage of the season. Major chance." He was a bit keener than ideal at Cheltenham in the Coral Cup but still kept on willingly to be fourth after being headed going to the final flight. That was only his third run since a long break with an injury and, though he has been raised 2lbs to a mark of 148 since Cheltenham, he will be well suited by the flat track at Aintree. We will try to hold onto Brio Conti a bit longer this time and if he does settle he has to be a player in this. We haven't quite seen the best of Mont Des Avaloirs since he ran Global Citizen close at Newbury in November. But he is going very well at home at the moment, has plenty of ability and I wouldn't be at all surprised if he runs tidily here at a track that should play to his strengths. 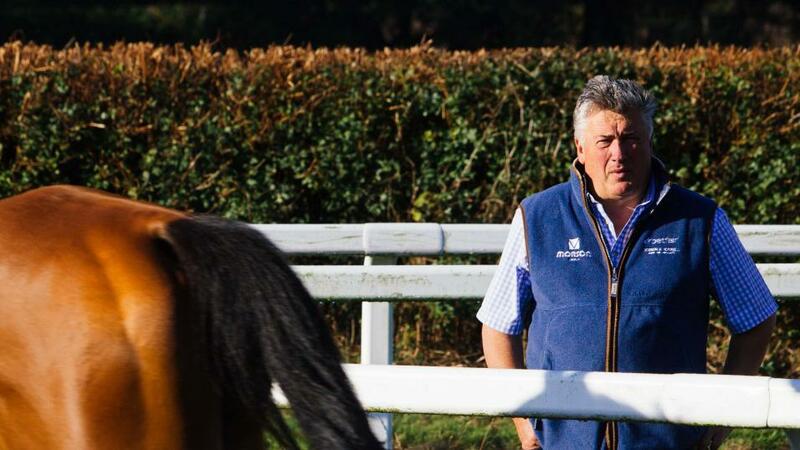 He is a big, powerful horse that I have deliberately kept fresh for this, I've always loved him and I don't think there is much between him and Brio Conti. Has progressed rapidly this season, developing into a really smart novice, and it made sense for us to by-pass Cheltenham and wait for this race after his fine victory in the Dovecote Hurdle at Kempton. Southfield Stone has bags of pace, and will relish the decent ground and flat track at Aintree as he seeks his fifth win of the campaign. A seriously exciting horse who lived up to our expectations with his biggest success in the RSA Chase at Cheltenham with the help of an ice cool waiting ride by Harry Cobden. Topofthegame's jumping was mustard and he didn't appear to have a hard race as he cruised around the track before quickening smartly up the hill. While you can never be sure how much running at the Festival takes out of a horse all the signs at home are positive with Topofthegame. He has only run three times and Matt Hampton, who rides him every day, says he is better now than at any stage of the season. Major chance. Put up a career best at Cheltenham last time when serving it up to Altior in the Queen Mother Champion Chase. To be beaten only one-and-three-quarter-lengths was some feat by Politologue who now returns to Aintree bidding for a double in this Grade 1 race, having pipped the hot favourite Min in a tight photo finish in this a year ago. He is another of mine who has come out of Cheltenham in great shape. I am upbeat about his prospects and see Min and Waiting Patiently as the main dangers. I find it hard to split my two runners in the Topham and think they both have solid claims. I've always thought the demands of this race would suit Adrien Du Pont who wants good ground, jumps well and travels strongly. He ran very well last time at Kempton where things didn't quite go his way when he needed the gaps on the final bend. It wouldn't surprise me at all to see Adrien moving stylishly into contention in the later stages of the race. Bounced back in style by landing a valuable handicap at Newbury early last month ridden by Nick Scholfield who has a fine record on him. 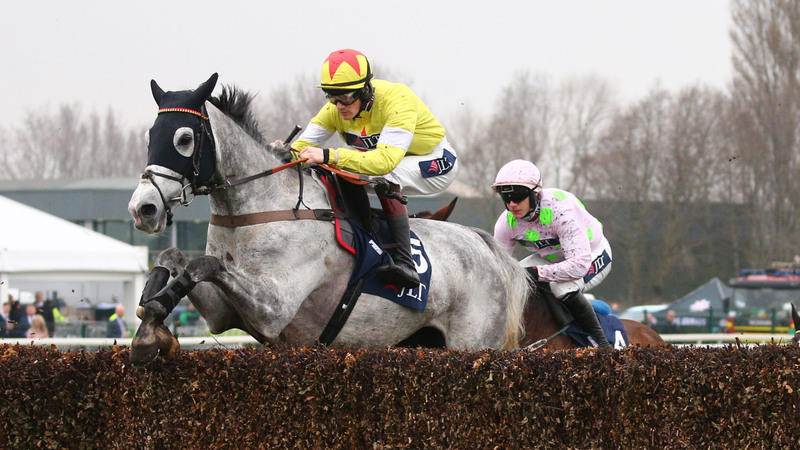 The handicapper has had his say by raising San Benedeto 7lbs but he has Grade 1 winning form at Aintree, will enjoy jumping the National fences but, like so many of mine, is at his best when the ground is not testing. Is a lovely prospect who ran a cracker on his seasonal debut at Ascot until tiring late on, then won as he liked at Wincanton a month ago. Trevelyn's Corn lacks experience as I haven't been in a rush with him but I've no doubt he has bags of ability and will be rated a fair bit higher in a year's time than his current mark of 130. I am hopeful he is ready for this step up in class though I wouldn't want the ground to dry out too much for him. He has a bright future. He is a strong, relentless galloper who was highly impressive in winning for the second time at Newbury just over a month ago. You can put a line through his previous run at Cheltenham where he was all at sea on the dips and gradients once the tempo quickened. The flat nature of the track at Aintree should be perfect for McFabulous who continues to please at home and will be going hurdling in the autumn.